Специальное предложение для тех, кто хочет обновить свой плэйлист: героически пролистали твиттер Тома Хиддлстона до самого конца и собрали все до единого song-of-the-day твиты. Кто-кто, а он точно знает толк в хорошей музыке. Song of the Day: "Lose Yourself", by Eminem. You only get one shot. Song of the Day: "The Mighty Rio Grande", by This Will Destroy You. May have been a song of the day before. It's the song of the day again. Song of the Day: "Sweet Thing", by Van Morrison. Song of the Day: "Downtown Train", by Tom Waits. Tom Waits is the man. Song of the Day: "Just Breathe", by Pearl Jam. Song of the Day: "Start a War", by The National. Song of the Day: "Santa Monica Dream", by Angus & Julia Stone. Song of the Day: "You're So Cool", from the soundtrack to True Romance. Hans Zimmer's homage to Terence Malick & Badlands. But... so cool. Song of the Day: "Quiet", by This Will Destroy You. Come on guys. 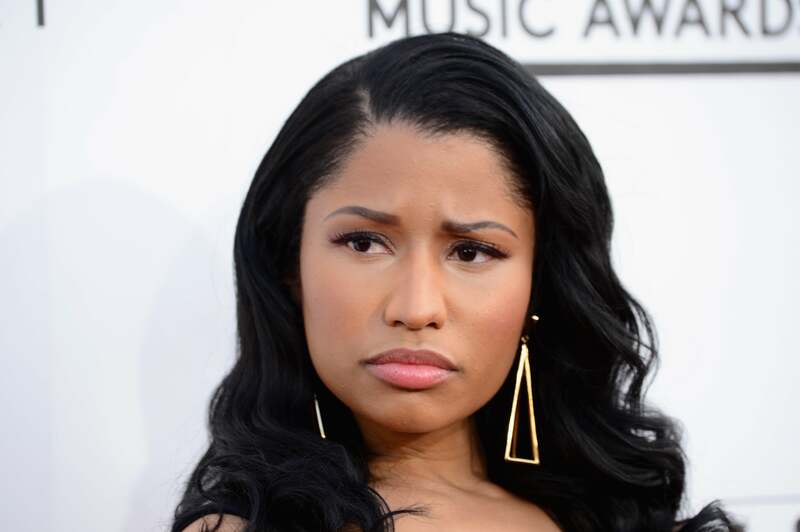 Nicki Minaj is pulpy and hilarious. Song of the Day: "Minnesota, WI", by Bon Iver. Song of the Night: "Spiegel im Spiegel", by Arvo Pärt. Song of the Day: "A Real Hero (feat. Electric Youth)", by College. London grey sky. Retro bass. Song of the Day: "Love Like a Sunset, Pt. 2", by Phoenix. Song of the Day: "Come Softly To Me", by The Fleetwoods. Song of the Night: "Heat", by Kronos Quartet. Song of the Day: "My Girls", by Animal Collective. Song of the Day: "The Mighty Rio Grande". by This Will Destroy You. Just really feeling it today. Song of the Day: "Bloodbuzz Ohio", by The National. Propulsive and momentous. Wonderful. Song of the Day: "Homeward Bound", by Simon & Garfunkel. Song of the Day: "Best of my Love", by The Emotions. Because sometimes, on a long shooting day, you just need some old school '70s soul. Song of the Day: "I Wanna Be Your Lover", by Prince. Also making my foot tap this morning: "Family Affair", by Sly and The Family Stone. It's like musical espresso. Did I really just say musical espresso? Anyway. Sly. "A Family Affair". It's a groove. Song of the Day: "Holocene", by Bon Iver. It reminds me that the world turns, and that amid all its teeming chaos, there is still beauty. 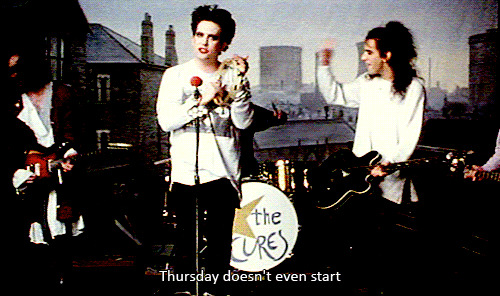 Song of the Day: "Friday I'm In Love", by The Cure. Friday I'm in Love. With London. Home. "Santa Monica Dream", by Angus & Julia Stone. 'night all. 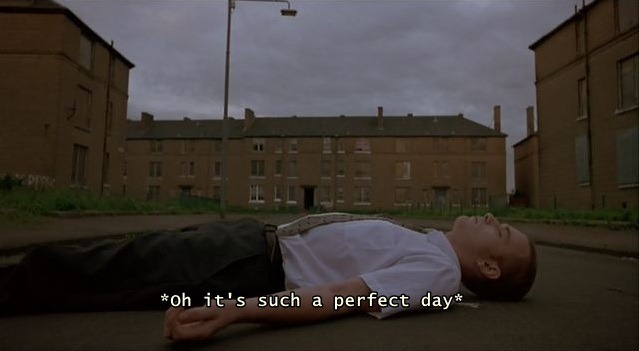 Song of the Day: "Perfect Day", by Lou Reed. Song of the Day: "Go Do", by Jónsi. Song of the Day: "With or Without You", by U2 (Alucard & Sean Tyas Remix). Again. Song of the Day: "I Will Wait", by Mumford & Sons. "Reload and your toes start tapping" (NME). Cloud-piercing. Song of the Day: "Let's Stay Together", by Al Green. Mmm-hmm. Song of the Day: "Lemonworld", by The National. Song of the Day: "I Can't Make You Love Me", by Bon Iver. It's beautiful. "The Mighty Rio Grande", by This Will Destroy You. Because it's mighty. And grand. And it will destroy you. Song of the Day: "My Tears Are Becoming a Sea", by M83. MC Hammer's "U Can't Touch This" just came on @thisisheart radio. Is there anything better on a Thursday morning? Is there anything better? Song of the Day: "Once There Was a Hushpuppy", by Dan Romer & Benh Zeitlin. Song of the Day: "One Love / People Get Ready" by Bob Marley. To my American friends, Happy Thanksgiving. And everybody else, thank you too! Song of the Day: "The Bathtub (feat. The Lost Bayou Ramblers)", by Dan Romer and Benh Zeitlin. Stamp your feet. Song of the Day: "Once In A Lifetime", by Talking Heads. Song of the Day: "Grow Till Tall", by Jónsi. Song of the Day: "Intro (feat. Zola Jesus)", by M83. Song of the Day: "Got My Mind Set On You", by George Harrison. When was the last time you listened to it? It's a belter. Song of the Day: "Outro", by M83. Song of the Day: "Elegy", by Lisa Gerrard & Patrick Cassidy. Song of the Day: "Below My Feet", by Mumford & Sons. Song of the Day: [Untitled Track] *3, by Sigur Rós, from their album ( ). Song of the Day: "Last Known Surroundings", by Explosions In The Sky. Not too late for a Song of the Day? Queen retrospective while in the grip of the fierceness of winter. "Somebody To Love". Kaboom. Song of the Day: "Harder Than You Think", by Public Enemy. Daft Punk. "Contact". Random Access Memories. Wow. Song of the Day: "Parasol", by Jonquil. Мы тоже потратили на это чудо от Спайка Джонза немало времени, Том. Happy New Year, everybody! Song of the Day is "Lost In Music" by Sister Sledge. I have rediscovered it over night and it has blown my mind. Мы знаем, Том. Мы знаем.